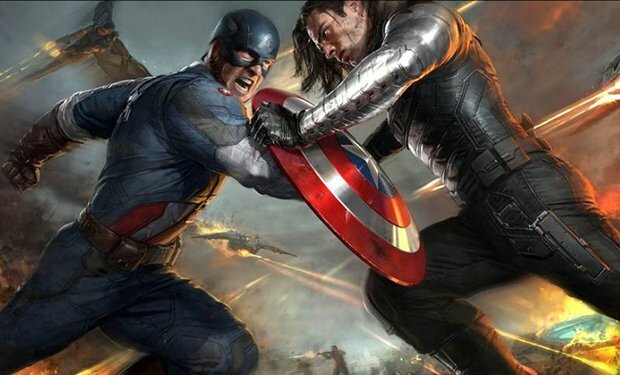 The sequel to 2011’s Captain America: The First Avenger, and the ninth installment in the Marvel Cinematic Universe, Captain America: The Winter Soldier was directed by Anthony and Joe Russo, with a screenplay by Christopher Markus and Stephen McFeely. …the story picks up where Marvel’s The Avengers left off, as Steve Rogers struggles to embrace his role in the modern world and teams up with Natasha Romanoff, aka Black Widow, to battle a powerful yet shadowy enemy in present-day Washington, D.C. Starring Chris Evans, Sebastian Stan, Frank Grillo, Samuel L. Jackson, Cobie Smulders, Scarlett Johansson, Toby Jones, Emily VanCamp, Hayley Atwell, Maximiliano Hernández, and Robert Redford, the movie is already set to hit theaters on April 4th, 2014. As usual – click on these new images to enlarge, and don’t forget – the first (full) trailer arrives tomorrow, at 9 a.m. Pacific Time. Reproduction without explicit permission is prohibited. All right reserved. Photos & certain artwork used on MovieProNews are copyright protected and are the property of their respective owners. & other trademarks used herein are the property of their respective owners. 127 queries. 0.111 seconds.